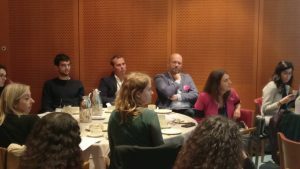 The policy debate on media literacy and digital skills for active citizenship was held on 27 September 2018 at the European Parliament in Brussels. 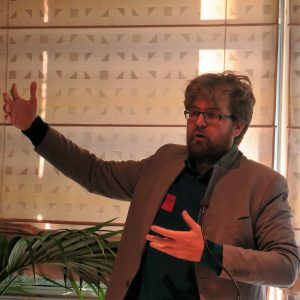 It was organised by ALL DIGITAL, a pan-European network of digital competence centres, and Emilian Pavel, member of the Employment and Social Affairs Committee in the European Parliament. 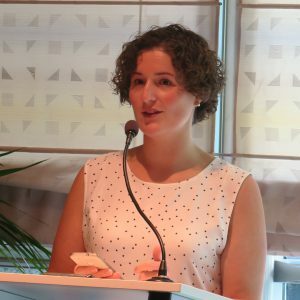 Experts in media literacy and digital skills discussed the lack of necessary skills among Europeans to use the vast variety of digital tools available today. The importance of media and digital literacy is undeniable, but we should go one step beyond disinformation, fake news, online hate speech, cyberbullying and online safety. We need to embrace a comprehensive approach to media literacy as fundamental skill for full participation in today’s society. MEP Emilian Pavel admitted that media literacy is a complex concept. He shared his personal and professional perspective on the importance of media literacy as a father and as a politician. He recognized the key role education providers and parents (should) play in teaching media literacy skills to children and young people. But he also highlighted the need to teach media literacy to those who are no longer in school. Adults need media literacy, too. 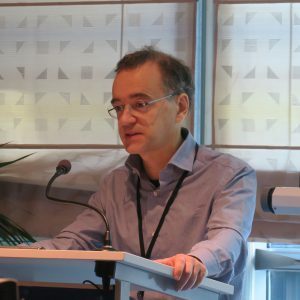 He encouraged the European Commission to support NGOs that can bring media literacy to all groups of citizens through non-formal and informal training. He suggested to bring together the bits of media literacy present in different European legislation and initiatives into a media literacy package and invest in this package through pilot projects and other measures. Anni Hellman, Deputy Head of Unit I4 Media Convergence and Social Media at DG CNECT , European Commission, started from the paradox that previous generations were taught to believe that what they read is true, while nowadays we need to teach our children that what they read may not be true. And this is a major cultural challenge. The European Commission realizes this, and this is why it currently focuses on tackling disinformation. Thanks to disinformation, policy interest in media literacy as part of the solution has risen significantly, but Anni recognized that policy should do more. She believes that in the future multi-annual financial framework media literacy will have more prominent space and hopes that in the future we will have a European ecosystem of media literacy and media awareness. Concretely, she hopes that the “Media literacy for all” pilot projects in 2016 and 2017 will be followed by preparatory actions in the next financial period. A European Media Literacy Week will be organized on 4-8 March next year as part of the effort to raise awareness about media literacy at EU level. Is education focusing on the right media literacy skills? 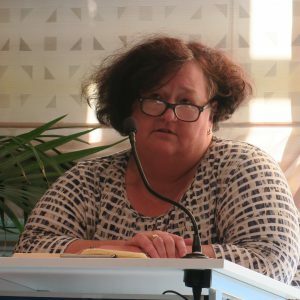 The director of MAKS vzw, Veronique de Leener, highlighted the contradiction between the fact that children and young people use digital media all the time and the fact that at school digital media is still taught in a theoretic and instructive way. From her point of view, media literacy is when the individual can tell the computer what to do, and not the other way around. This definition highlights the importance of the individual being the one in control, the multimedia device being the tool, and media literacy being the enabler to use the tool to improve our lives. But how can we enable illiterate people to be in control if they have never touched a computer? Or young people with smartphones, but who are struggling with digital productivity tools (calendars, word processing software, etc. ), have game addiction and are not aware of online risks? The answer is, by teaching them how to produce with the computer. Non-formal training providers, such as MAKS, have developed many programmes and tools, such as digital storytelling, coding animator training, etc., but they need support to scale those initiatives and reach more people. Major success factor is to find a genuine interest in learners. Not everyone wants to become media literate per se; linking media literacy training with people’s genuine interests (knitting, cooking, crafts, games) is key to motivation. See a digital story produced by one of the young people after the training conducted by MAKS. 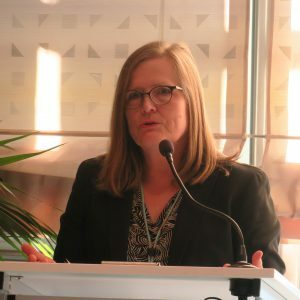 Reactions and comments from the audience included a comment from Stephanie Comey, Senior Manager on media literacy at the Broadcasting Authority of Ireland (BAI), on the role of broadcasting regulators. She agreed that regulation is not the answer and the way for regulators to promote media literacy is through cooperation and partnership. In this regard, BAI has created a multi-stakeholder network to develop a competence framework for media literacy and work across many sectors such as education, journalism, corporate world. Realizing these partnerships at local level is not that hard, as long as some leadership is provided. A bigger challenge is to ensure consistency between different initiatives at European level – knowing what is going on in Ireland, in Belgium, in other countries. A European platform for sharing such initiatives would be extremely helpful. Anni Hellman announced that the EC is already working on such a platform which is almost ready and soon to be announced. Saara Salomaa from the Finnish National Audiovisual institute confirmed that in Finland there is also a network of different stakeholders contributing to the Finnish media literacy week, but even on national level there is a lack of long-term funding for media literacy. She admitted that even the Finnish media literacy week is funded by safer internet funding. 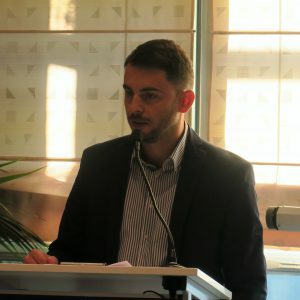 Paolo Celot, Secretary General of EAVI, the European Association of Viewers’ interests remarked that in 2016 EAVI organized a similar debate at the European Parliament and commented on the changes and improvements since then. The objectives of that debate were achieved since media literacy was included in the AVMS Directive and some pilot projects funding was allocated to media literacy initiatives. But different associations working on media literacy at European level need to join forces and put together their advocacy efforts. And regarding the perspective on advocating on media literacy, we should be more concrete, more specific, keeping the open and complete definition, but also thinking about the concrete skills that European citizens need to acquire. We should go beyond the rhetoric on how important is to have better internet users or better citizens and tackle the reasons why people are not currently acquiring the necessary media literacy skills. 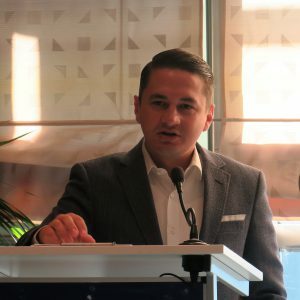 Laurentiu Bunescu, CEO of ALL DIGITAL announced a policy statement on media literacy that is addressed to the EU policy makers. ALL DIGITAL calls EU to better recognize the role of the non-formal education sector in equipping ALL citizens with media literacy skills, as well as supporting media literacy in a more structured way in the current and upcoming policies and policy initiatives. See the full statement. Media literacy includes interacting with digital media in an active and creative way. Digital technologies should make life better, not disrupt it and all groups of citizens should be media literate to make that happen. Collaboration between all stakeholders – politicians, schools, non-formal training providers, civil society, business – is key. More should be done on the policy level to support and scale up successful initiatives. Finally, as many participants asked us what the next steps after this debate will be, we at ALL DIGITAL will process all this input and think about follow-up events and activities. We will follow closely the planning of the Media Literacy Week. We invite all participants, as well as other interested stakeholders who could not attend the debate, to get in touch with us if you have an idea for collaboration or just would like to further discuss the topic.